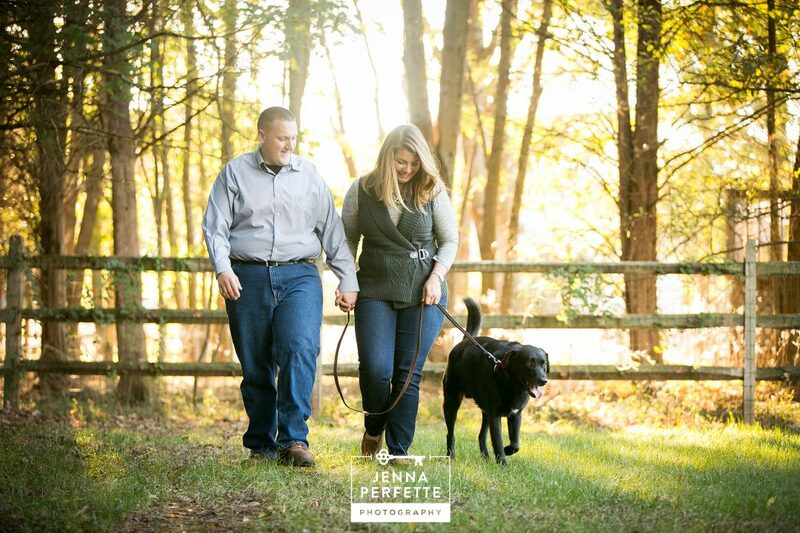 Thinking of including your pet in your wedding day festivities? You’re not alone! 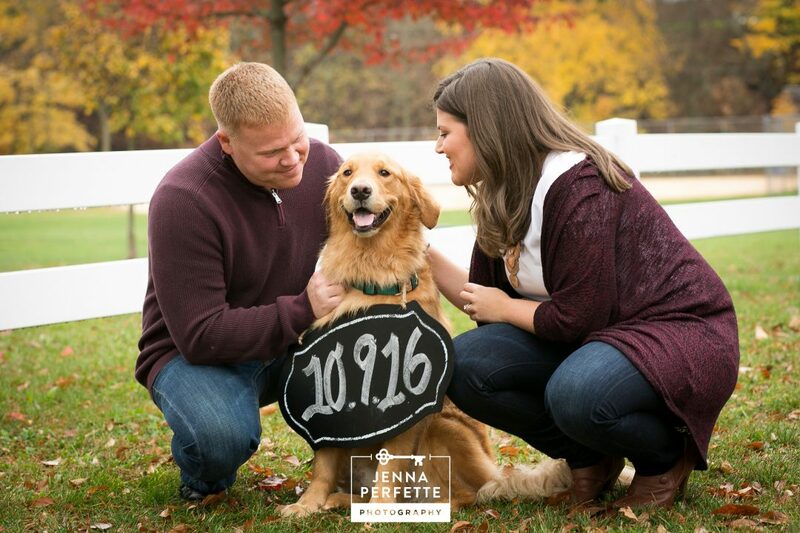 Many couples are choosing to include their furry friends in some part of the wedding journey. 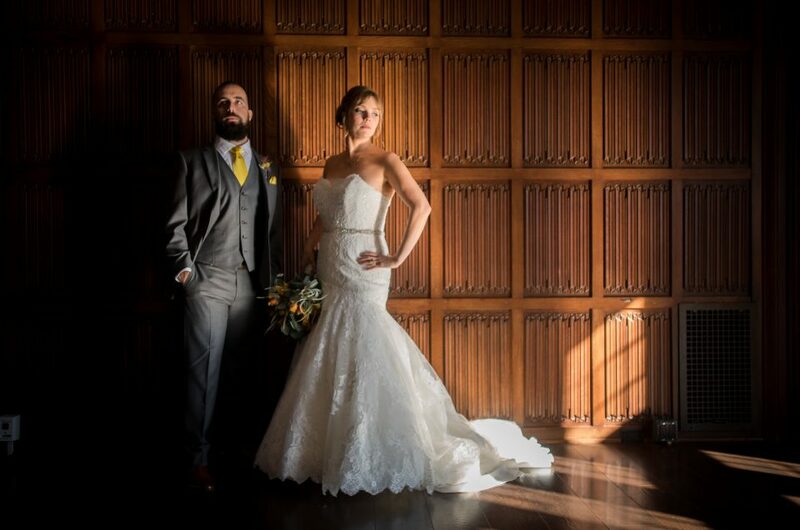 Before deciding what works best for you, your wedding day vision, and your furbaby, explore some of the ideas below! 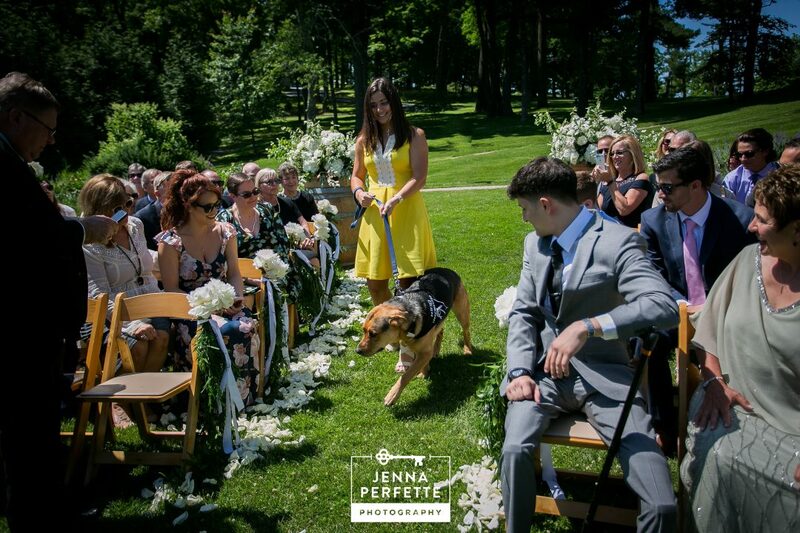 A fun way to include your pet in your wedding celebration is to have them play a role in your ceremony. 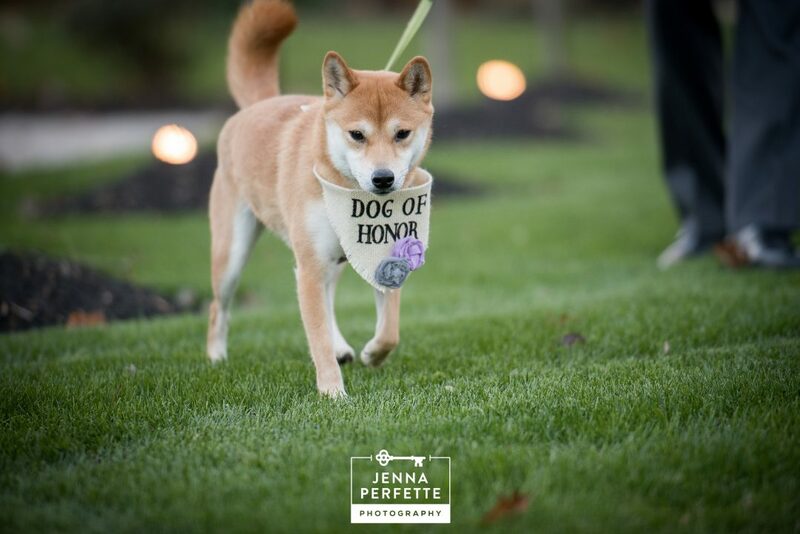 You may include the Dog of Honor, Flower Cat, Puppy of Honor – the list is endless! 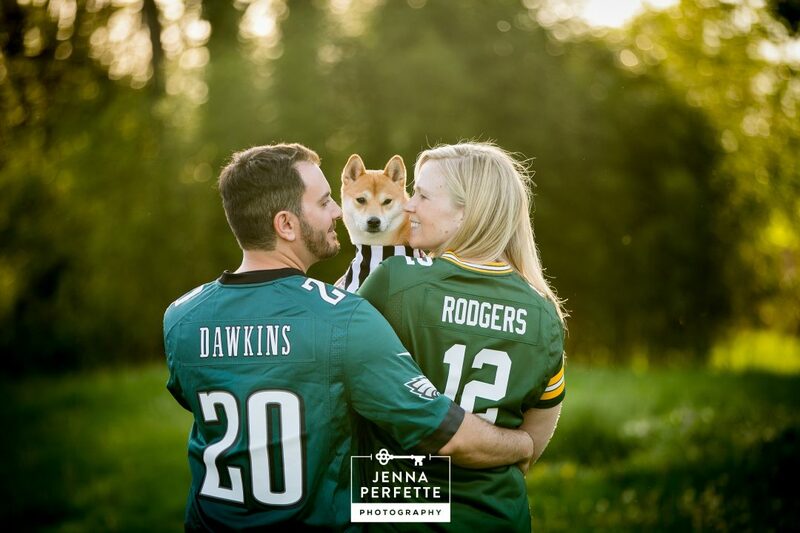 Some couples have gotten creative and dressed their pet for the occasion, or have even incorporated cute signs with their title role. One of the main challenges here is location. While some venues appreciate this trend, pet-friendly venues are hard to find. 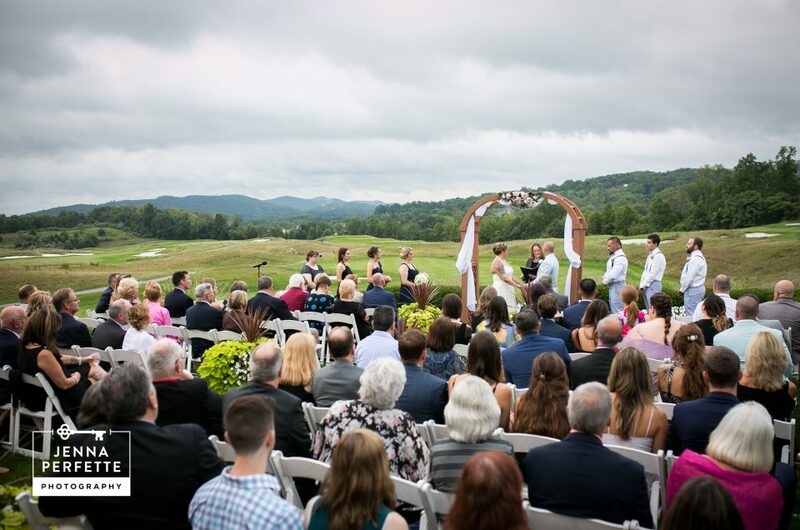 If you are getting married outdoors, it’s more likely the venue will be willing to work with you. It’s important to first do some research to find venues that work best with your vision. Then, speak with a manager, introduce them to your pet, and share your ideas! It’s also important that you dedicate a guest to take care of your furbaby while you’re busying tying the knot. Be sure that your pet’s caregiver is prepared with water, treats and maybe a toy to keep them happy all day long. 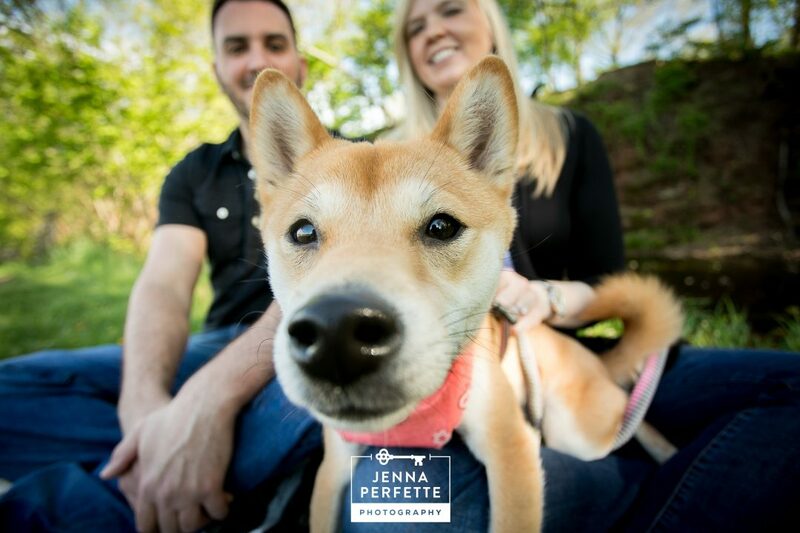 If you choose to include your pet in your wedding day festivities, communicate with your photographer beforehand to determine what type of shots you’d like to capture and how your pet may react in front of the camera. Not every wedding is suited for your pet, and not every pet is fit for the big day. Luckily, there are other fun ways to include your best bud during this exciting time. 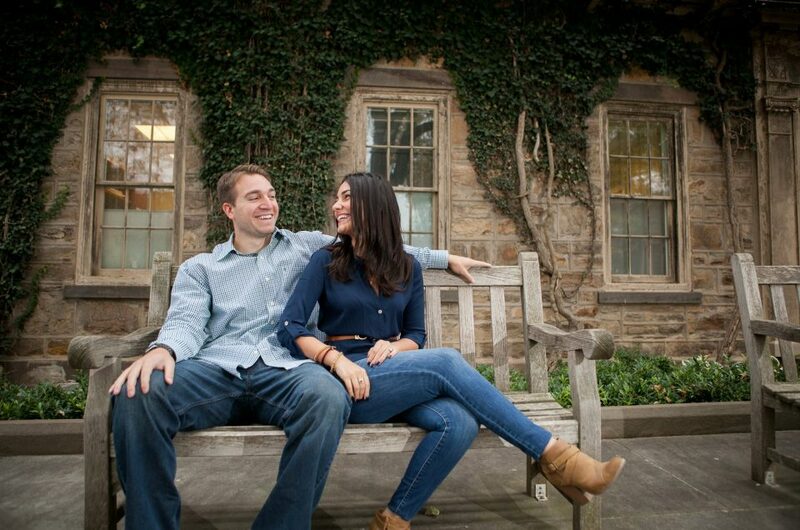 One way is by including them in your engagement photos or save the dates. This is a really fun and more relaxed way to include your pet in the celebration without the intimidation of a large crowd. Adding fun signs is always a great way to make your guests smile! 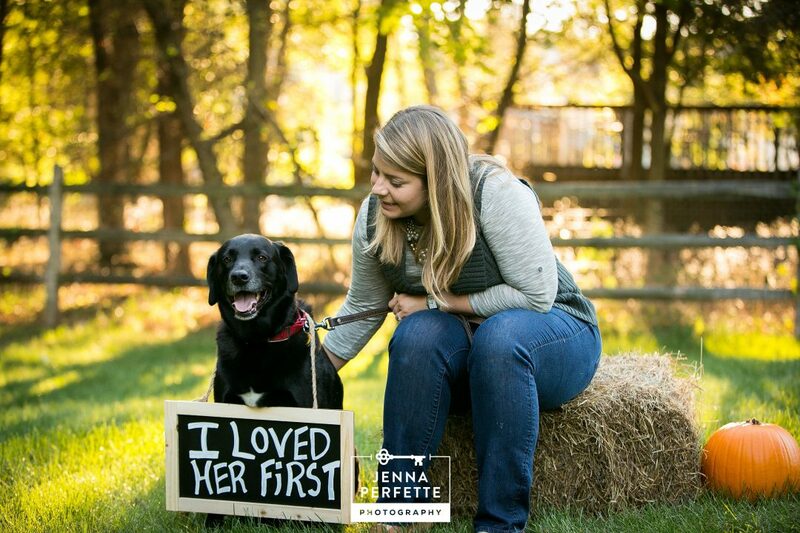 If your pet can’t make the big day, another fun idea is to include these photos in the decor on your wedding day. 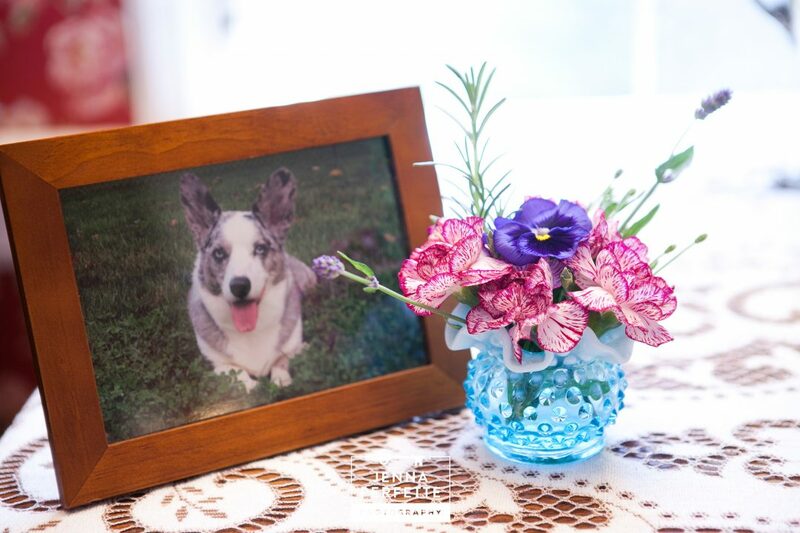 Seating cards are a great way to display cute shots of your furry friends. You can also display the prints on dinner tables or the entrance of the reception area. Get creative! 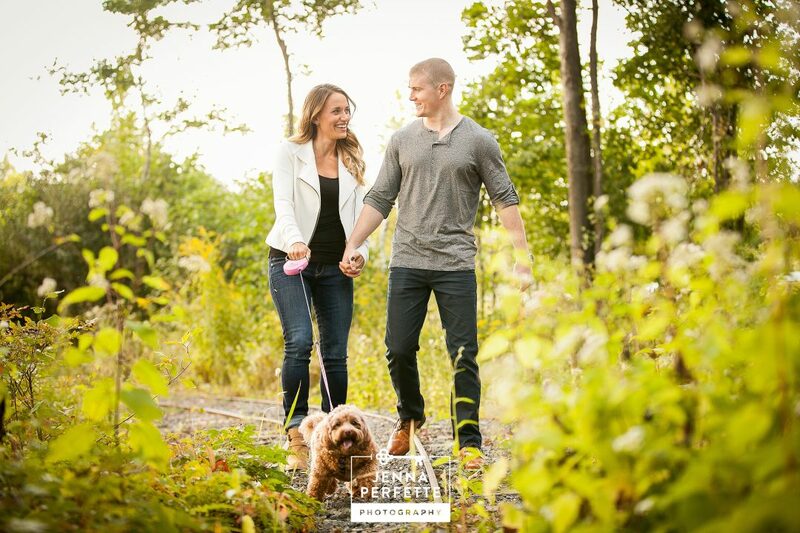 Post-wedding thank you cards, or even a first anniversary session with your furbaby is also a great idea. 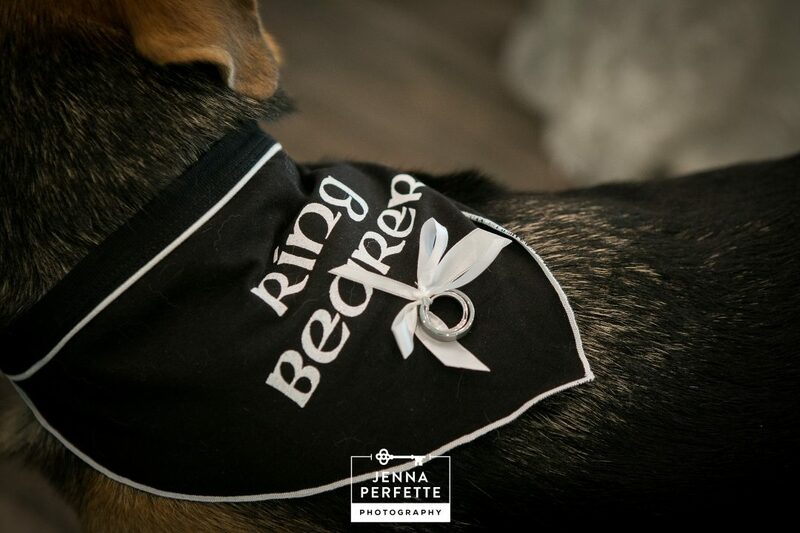 If it’s not ideal to have your pet with you on your big day, booking a session with your pet after the wedding is a great way to continue the fun! You can even re-create some of the day by re-using some wedding day props or outfits or dressing your pet up for the occasion. Looking for a first anniversary gift idea? Since the traditional gift of year number one is paper, surprise your honey with a photo session – and prints – with your favorite furry friends! 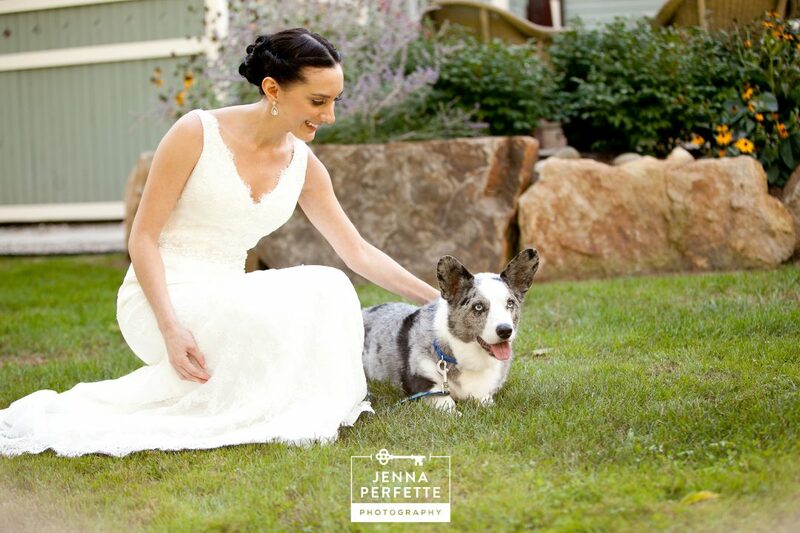 However big or small of a role you choose to give your pet during your wedding journey, it will surely please!